Eddy Cue, Apple's head of Internet software and services, was recently assigned ownership of the company's Siri and Maps initiatives (formerly managed as features of iOS by Scott Forstall). He was also named to the board of directors of Ferrari, which cited Cue's experience in Internet-based commerce as a primary reason. But Cue's executive link between Apple and a specialty automotive company isn't the only evidence supporting the company's move into the car market. The Siri and Maps projects Apple has recently brought to market appear tailor made for integrating iOS in the automotive industry, and a logical extension of "Made for iPod" integration programs Apple has worked on for over a decade. Siri, profiled last year as one of the largest development teams at Apple, has been suggested to offer a $100 billion opportunity in the living room, along with FaceTime video chat. However, there are already voice activated "smart" TV products and video conferencing set top boxes that don't make any money. 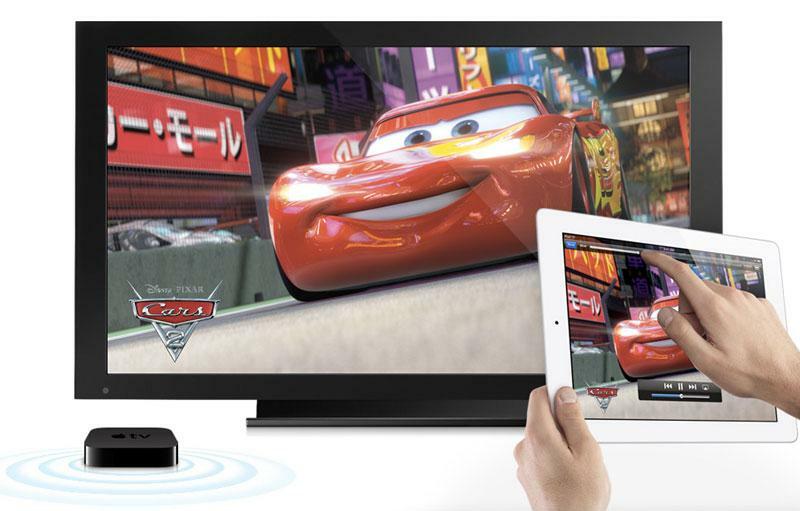 So far, Apple has offered no suggestion that it's working on a TV strategy that involves Siri. In contrast, the company has already linked Siri to automotive applications in its announcement of Eyes Free this summer, a program that more tightly integrates iOS devices into cars, allowing users to issue voice commands that are answered audibly without even lighting up the device's screen. That announcement happened to coincide with a new effort by the U.S. National Highway Traffic Safety Administration to focus on reducing "distracted driving," part of a series of measures that local and federal governments have taken to reduce deaths attributed to cell phone use while driving. Despite an incessant volume of unsupported HDTV-related Apple rumors over the past several years, little has been said about Apple's potential in the car market. This is particularly striking given the difference in potential revenues between the two, the relative demand for the types of technologies Apple has put together in iOS in both markets, and the work Apple has already announced and delivered in both regards. In October 2006, Steve Jobs uncharacteristically previewed a prototype of the then-new Apple TV. It was subsequently released just a few months later at the unveiling of the original iPhone at the beginning of 2007. Since then, while iPhone has become Apple's biggest product category internationally, Apple TV has remained a hobby, albeit a "beloved" one that is now (at least in unit sales) roughly as large as Apple's entire Mac business was 2006. Margins on the current $99 Apple TV are much smaller than the Mac however, leaving the company limited room for commercially exploiting its current leadership position in selling TV set top boxes. Additionally, unlike the markets for MP3 players and smartphones, neither full HDTVs nor external set top boxes have ever been very profitable. This discounts the idea that Apple would try to aggressively push iOS into the crowded TV space, where various existing devices have lost millions (TiVo) or even billions of dollars (Microsoft's Xbox/HD-DVD and Sony's PlayStation 3/Blu-ray) just trying to establish a platform for selling software or subscription services through the television. That's not to say Apple can't make money in a market where its competitors have failed. Apple's iPad took off after a decade of Microsoft's failure with Windows Tablets, and three years later, Apple is still selling the most devices in a market where its closest competitors are pursuing an Xbox-like strategy of losing money in hardware in a bid to eventually develop a platform for selling software and services. Nokia and the majority of Android smartphone makers are also losing money, and many PC makers are struggling to sell low-profit netbooks and low end notebooks and PC boxes even as Apple continues to sell premium priced, high end computers. However, the TV market is one of the few areas where even Apple has found it difficult to make any money. Instead, the company has continued to earn minimal profits on Apple TV, essentially offering it as an accessory feature for playing iTunes content and for wirelessly streaming video from Macs and iOS devices via AirPlay. In stark contrast to the rapid development of iPods, iOS and the OS X Mac desktop, Apple has focused limited resources on improving Apple TV, adding AirPlay and AirPlay Mirroring, Netflix, Hulu+ and integrated sports apps but never opening the door to unrestricted third party development.